Borago officinalis - Natural Health - Lancaster and Preston . 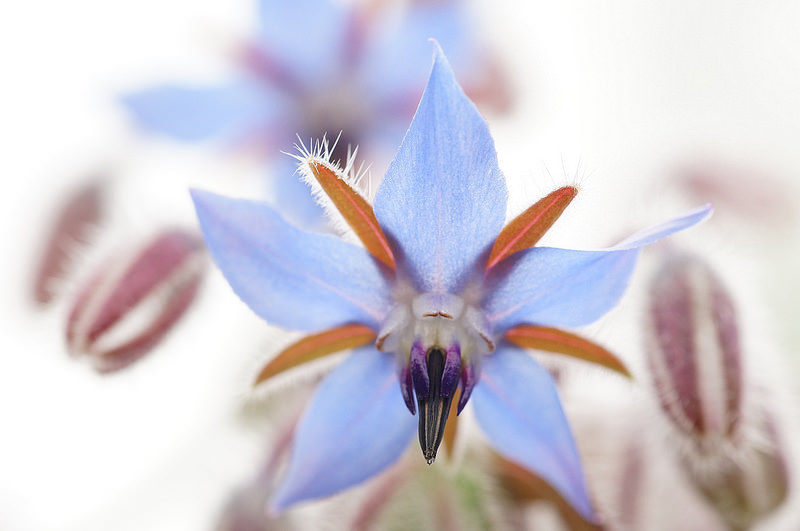 Borage is a beautiful plant and one of my favourites, both in the garden and medicinally. Borago officinalis is commonly known as Borage and is a member of the Boraginaceae family. 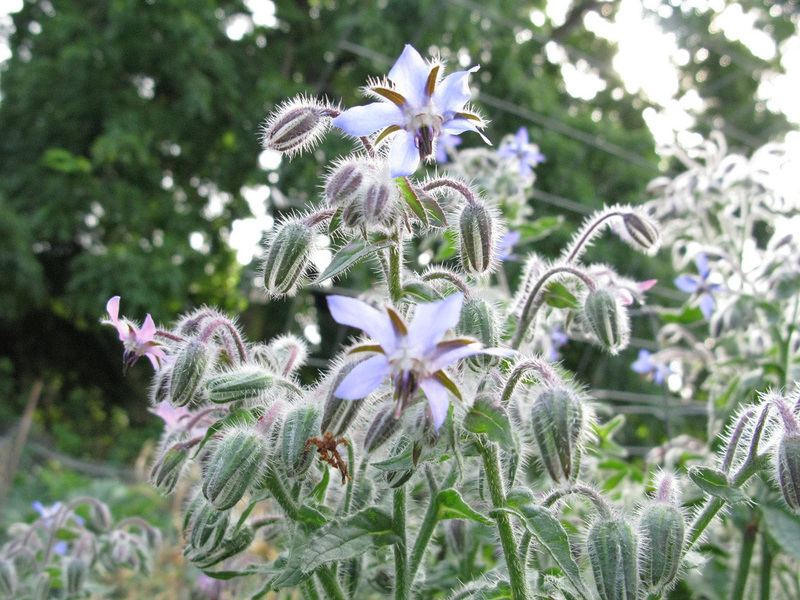 Borage is a hairy annual, and is grown from seed. I use it in my garden and vegetable plot to attract bees. Gerard writes 'Pliny calls it Euphrosinum, because it maketh a man merry and joyfull: which thing also the old verse concerning Borage doth testify: I Borage Bring alwaies courage'. Borage also has a reputation for uplifting the spirits - Gerard writes 'The leaves and floures of Borrage put into wine make men and women glad and merry, driving away all sadnesse, dulnesse, and melancholy, as Dioscorides and Pliny affirme. Syrrup made of the floures of Borrage comforteth the heart pureth melancholy, and quieteth the phrenticke or lunaticke person. The floures of Borrage made up with sugar, do all the aforesaid with great force and effect'. Freeze the flowers in ice-cubes, add to summer drinks. The flowers can also be crystallized and used to decorate cakes. The aerial parts, flowers and seed oil are used medicinally. Borage is a diaphoretic, demulcent and expectorant, and therefore may be used in the treatment of coughs, bronchitis and fevers. As a tonic it is an excellent adrenal tonic used for exhausted states and convalescence. Borage oil is a good source of gamma-linolenic acid (GLA) which is an essential fatty acid. Borage should not be used in pregnancy, lactation or in people who have epilepsy. To use medicinally consult a medical herbalist. Gerard, J. (1974) Gerard's Herball - The History of Plants, London, The Minerva Press Ltd.